and to focus efforts on helping students engage in protective, health-enhancing behaviors and avoid risk behaviors. 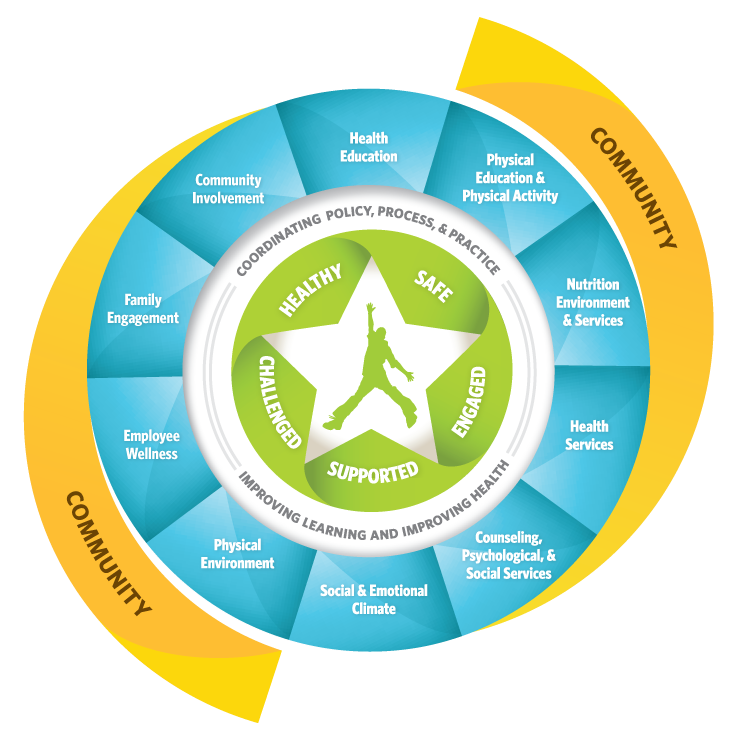 Since 1987, Center for Disease Control's (CDC’s) coordinated school health (CSH) approach has been the blueprint for integrating health-promoting practices in the school setting. CSH programs have helped to establish policies and practices in states, districts, and schools across the nation, and will see continued success within the expanded Whole School, Whole Community, Whole Child (WSCC) model.